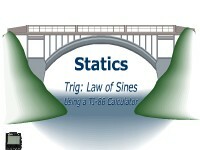 In this animated object, learners use a TI-36X calculator to determine forces. 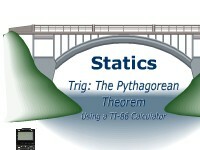 In this animated and interactive object, the learner uses a TI-36X calculator to solve for the magnitude of the resultant and of one of the component forces in a right triangle. 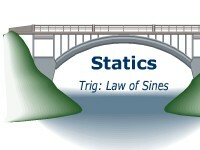 In this interactive and animated object, learners apply the Law of Sines to determine forces using a TI-86 calculator. In this animated and interactive object, the learner uses a Casio fx-260 calculator to solve for the magnitude of the resultant and of one of the component forces in a right triangle. 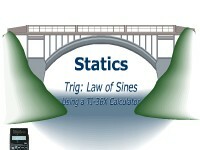 In this interactive and animated object, learners apply the Law of Cosines to determine forces using a TI-86 calculator. In this animated and interactive object, the learner uses a TI-86 calculator to solve for the magnitude of the resultant and of one of the component forces in a right triangle. 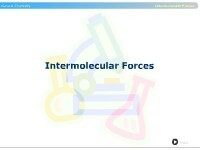 In this interactive learning object, students calculate a resultant of multiple forces acting in a concurrent, coplanar condition. The learner calculates the resultant of multiple forces acting in a concurrent, coplanar load condition.